The 2nd Global Virtual Workshop will address the topics of asteroids and space debris with a focus on the technical aspects of these themes. The workshop is one of a series of events organised by the Stardust training and research network and this event is the second global virtual workshop to be held. The format of these workshops allows people to attend in-person or virtually via a teleconference connection. The BPPA Annual Conference is an annual philosophy conference run by and for postgraduate students in the UK, as well as the occasional keen traveller from foreign parts. Spread over a weekend, it aims at philosophical rigour but seeks also to leaven the deep-furrowed ponderings with social frolicking and gambolling. Typically, the BPPA Conference has 12-16 postgraduate speakers, plus a big-name keynote speaker from the host university. The atmosphere is always very friendly and helpful, and the conference is a lot of fun. A two-day conference on cannibalism at the University of Southampton, seeking to bridge disciplinary gaps between anthropology, archaeology, history, and literature. Motion and Vibration Conference and Recent Advances in Structural Dynamics conference hosted at the University of Southampton in 2016. The Association of Medical Humanities annual conference. Harmonic analysis, modulation spaces, time-frequency analysis. The relationship between research and practice has long been a key concern in education and the social sciences more generally. For the field of educational effectiveness, this issue is at the forefront even more, given that the very intention of EER has from its origins been not just to identify the characteristics of effective education, but to influence policy and practice for greater effectiveness. At the same time, the field has always striven to put our knowledge of educational processes onto a sound scientific footing by employing rigorous research designs and analytical methods, which have increased in sophistication over the years. In contrast to the views of some critics of the field, we feel that this methodological rigour is essential to provide practitioners and policymakers with information that is sufficiently robust to be used as a basis for decision making, and the theme of this conference reflects this belief. It is therefore the aim of this conference to explore ways in which we can continue to produce research that is both rigorous and relevant, and also look at ways in which complex methods, designs and findings can be communicated and co-constructed with practitioners and policymakers. As such we aim to build on traditional strengths of our field, while being aware of the challenges we face. The second part of the conference title likewise reflects both longstanding concerns in the field and recent developments. The principle of equity and positive educational outcomes for all students, whatever their background, has always motivated researchers in our field, but has if anything become even more central as many societies are confronted with growing inequality and complexity, and we hope to stimulate discussion on ways we can contribute to improving quality education for all students. The conference should therefore be relevant to researchers, practitioners and students with an interest in educational effectiveness. We look forward to welcoming you at Southampton! The symposia will provide opportunities for sharing and discuss innovative work and networking. The 8th International Conference on Multiple Comparison Procedures will be held on July 8 - 11, 2013 at University of Southampton, UK. The main goal of the conference is to promote research and applications of multiple comparison procedures. The application areas of multiple comparison procedures are a rich and important source of cross-disciplinary statistical research. The conference will provide a forum for technical interactions among industry practitioners, research scientists from subject matter areas and statisticians. We are pleased to announce an international conference in banking and finance that will be held in the beautiful city of Southampton, UK on 25-26 April, 2013. The international conference is organised by the School of Management, University of Southampton, in association with the Journal of International Money and Finance and the Money Macro and Finance Research Group. Professor James Lothian of Fordham Universit, USA will deliver the keynote speech. Professor Charles Goodhart of London Business School will present a lunch time seminar. For full information on RASD 2013 please visit the official pages by clicking here. The Institute of Sound and Vibration Research (ISVR) is pleased to announce that the Eleventh International Conference on Recent Advances in Structural Dynamics will be held at the University of Pisa, Italy, on 1-3 July 2013. The first conference of the series was held in 1980. This conference is devoted to theoretical, numerical and experimental developments in structural dynamics and their application to all types of structures and dynamical systems. The University of Southampton’s School of Management is delighted to annouce details of the Seventh Annual PhD Conference for 2011.This is an opportunity not to be missed to meet other School of Management PhD students, Master students and Research staff members in a friendly environment and to gain awareness about each other’s research areas. This year’s AASP Annual Meeting will be held at the National Oceanography Centre, University of Southampton, England, and will be a joint meeting with The Palynology Group of The Micropalaeontological Society. 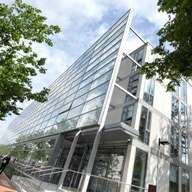 The National Oceanography Centre, a collaboration between the Natural Environment Research Council and the University of Southampton is the largest institution of its kind in Europe, a £50m purpose-built centre which opened in 1995. The AASP meeting will run consecutively after Dino 9 at the University of Liverpool.